Xylene is an aromatic hydrocarbon known for its wide usage in tissue processing, staining and cover slipping in the histology laboratory. 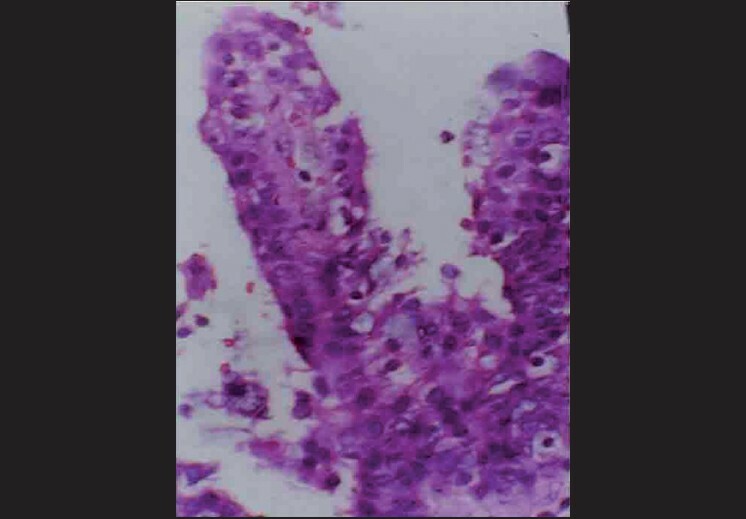 The hazards of xylene are well documented, making it a potential occupational hazard for the histopathological technicians. As every other profession became cautious of the occupational hazards, the very speciality that identifies the illnesses became one of the last to become aware and remedy its own hazards. 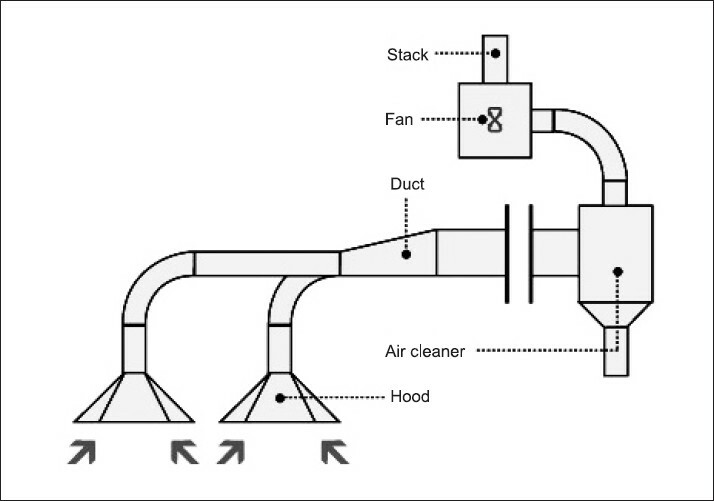 This review article aims to discuss the toxicity of xylene and safety measures to counteract the hazards and enlists the pros and cons of using various substitutes that claim to be much safer, better and faster. Kikuchi disease is an idiopathic, generally self-limiting cause for lymphadenitis that can be clinically and histologically mistaken for lymphoma or systemic lupus erythematosus. Differentiating this disease from common lymphatic disorder is extremely important from the pathologist's point of view, which is highlighted in the article. Glandular odontogenic cyst (GOC) is a rare developmental cyst of the jaws. The most common site of occurrence is the anterior mandible, and it is most commonly seen in middle-aged people. It is a destructive lesion with a high rate of recurrence. A predilection for men is observed. Clinical and radiographic findings are not specific, and it can mimic as any other destructive lesion of the jaw. 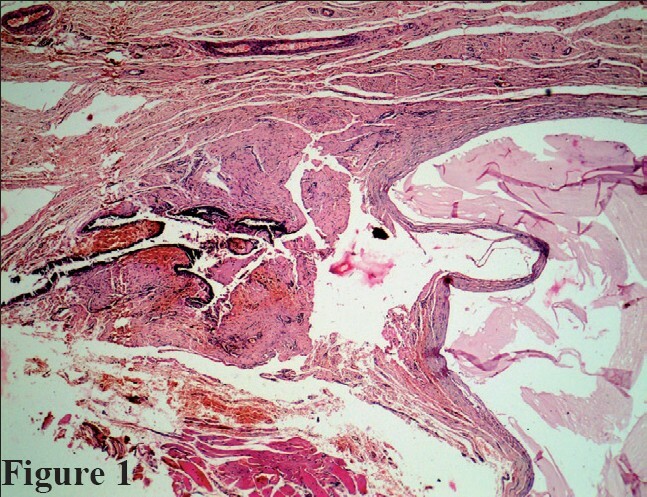 The histopathological features of GOC and those of low-grade central mucoepidermoid carcinoma (MEC) are similar. Often, they are misdiagnosed as MEC. We present a case of GOC in the posterior maxilla, which is a rare site. The similarities and differences between GOC and central MEC are also discussed. 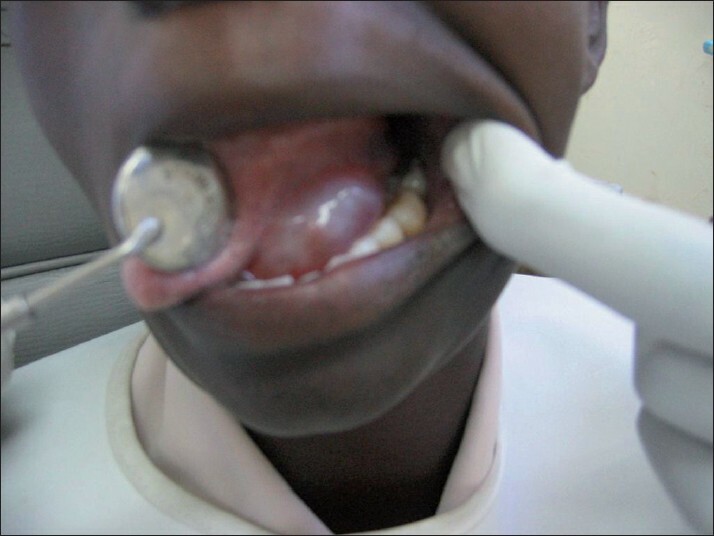 Oral myiasis is a rare disease caused by larvae of certain dipteran flies. It is mostly reported in developing countries and in the tropics. 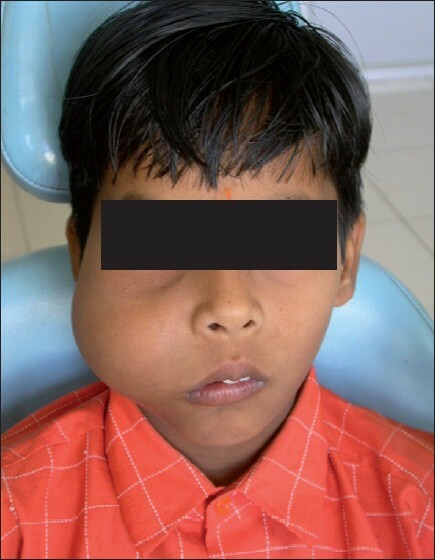 Herein, a case of oral myiasis in the maxillary anterior region of a 14-year-old mentally challenged boy is being reported. The myiasis was caused by the larvae of Chrysomya bezziana species. The clinical findings are presented. Etiology and the importance of oral health in special people are also discussed. 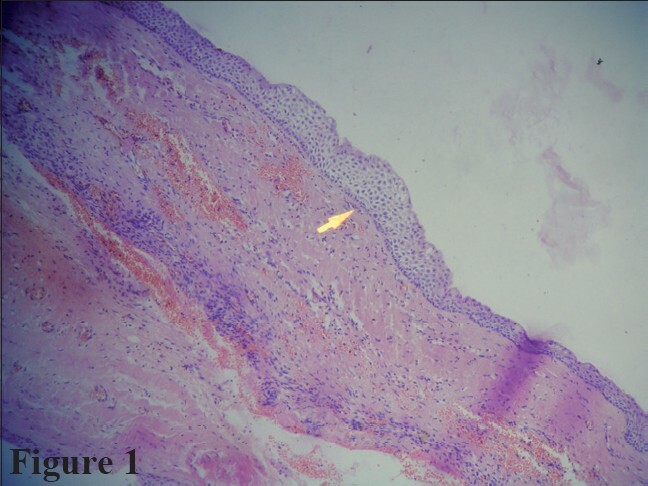 Odontogenic myxoma represents an uncommon benign neoplasm comprising of 3-6% of all odontogenic tumors. 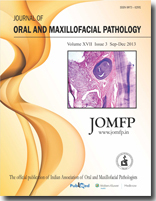 This article presents a rare case of odontogenic myxoma occurring in the maxilla of a 7-year-old male patient with a brief review of the pathogenesis, clinical, radiological, histopathological, ultrastructural and immunohistochemical characteristics of odontogenic myxoma. Adenomatoid odontogenic tumor (AOT) is an uncommon tumor of odontogenic origin composed of odontogenic epithelium in a variety of histoarchitectural patterns. Most cases are in females and have a striking tendency to occur in the anterior maxilla. However, AOT of the maxillary antrum is extremely rare. A 25-year-old female presented with a large radiolucent lesion associated with the crown of an unerupted canine located in the maxillary antrum, which was clinically diagnosed as dentigerous cyst. The microscopic examination revealed the presence of AOT in the fibrous capsule of a dentigerous cyst. Very few cases of AOT associated with dentigerous cyst have been reported till date. 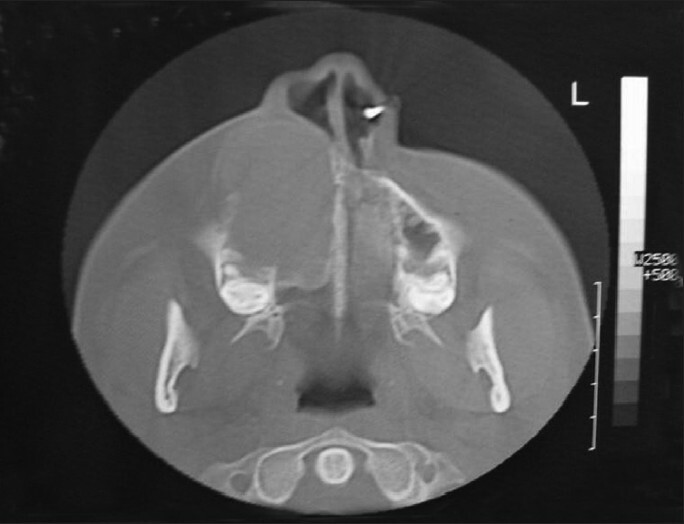 A case of gigantic AOT that occupied the maxillary sinus and associated with dentigerous cyst is described. Also, an attempt has been made to determine whether the AOT derived from the dentigerous cyst could represent a distinct hybrid variety. Melanotic neuroectodermal tumor of infancy is a rare, distinctive neoplasm of early infancy with rapid expansile growth and a high rate of recurrence. Most commonly, the lesion affects the maxilla of infants during the first year of life. One such case was diagnosed in the Department of Oral Pathology and Microbiology in Subharti Dental College, Meerut. Currently, published literature has increasingly projected the ranula as a lesion that may be closely associated with exposure to the human immunodeficiency virus (HIV). In this report, we document 28 patients who presented with ranulae, among whom 19 were HIV infected. In some, this was the only lesion that was the sentinel sign of HIV infection. Most probably, this lesion could be considered as one of the clinical markers of this infection.